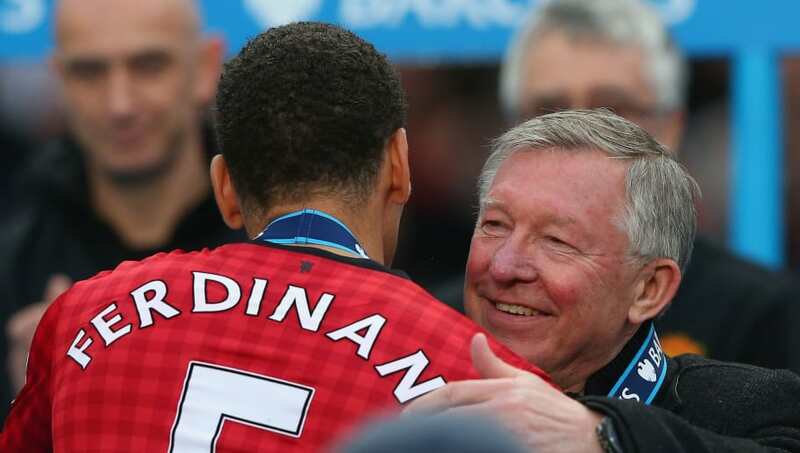 ​With Liverpool firmly embroiled in a title race, Rio Ferdinand has set rivalry aside and used his experience of playing under Sir Alex Ferguson to advise Jürgen Klopp and his side on how best to win the Premier League title from here. The iconic Scottish manager, who managed Manchester United for 21 years, won 13 Premier League titles in his time. Rio Ferdinand played a key role in six of these titles and knows a thing or two about how to win the Premier League. With the pressure of 28 years without a league title weighing down on the Liverpool players, Ferdinand has urged Klopp to ease the burden of history. Speaking to BT Sport (via the Express), Ferdinand explained: "I think Jurgen Klopp, it's important he actually tries to take the focus off of the history. That will be a big burden on their shoulders - if it's allowed to be. "When I was fortunate enough to be in a changing room with Sir Alex Ferguson, in times of need when the pressure is on, someone was chasing or when Liverpool or Chelsea were just ahead of us, he would find something we could hook into. "It wouldn't be obvious but it would be something about us a lot of the time - what we were good at, why we're here. "It would be little gems that he would put into your mind as an individual and it grew as a collective belief that you just cling on to. Sometimes it just needs one performance to shut everyone up. "If Liverpool go out and put in a massive performance against one of the big teams, they put them to sleep and win three or four-nil, then you get the momentum again." The Reds temporarily extended their lead at the top of the table to seven points on Saturday as they beat Brighton 1-0 courtesy of a Mohamed Salah penalty. Whilst it was not a vintage Liverpool performance, Klopp was impressed by his side's maturity. He said: "I think it was the most mature performance we have made so far. There were a few situations where we could have been a bit more inspired, creative and cool. "We know we can control the game and we are not that childish anymore." Liverpool will be eagerly waiting to see how Manchester City get on in their home fixture against Wolves on Monday.